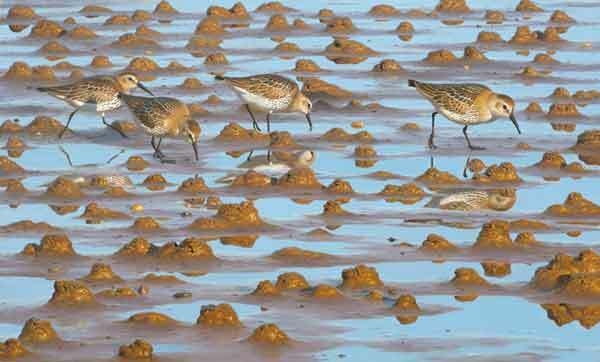 Due to popular demand I have just published a new giclée print of this recent painting of a small party of immature dunlin. 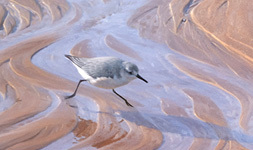 Yet again I have been drawn to the coast and to the subject of repeating patterns found in the natural world. 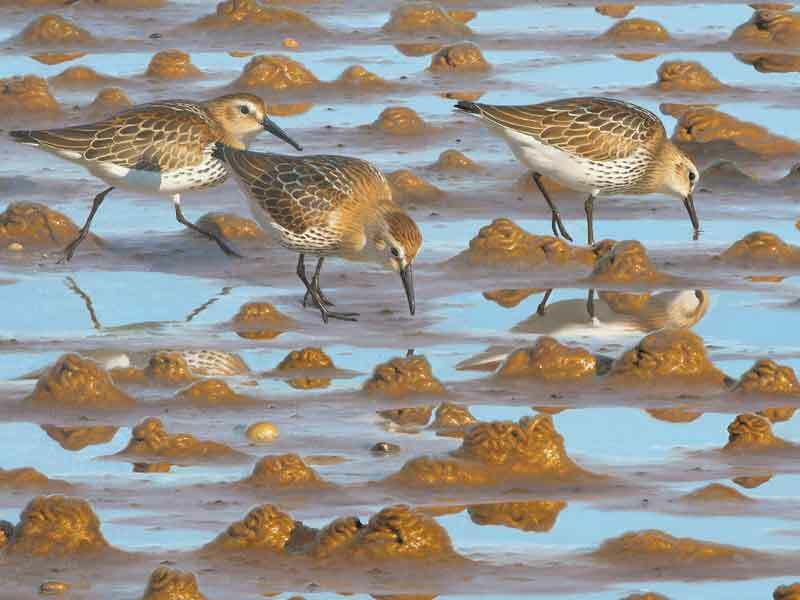 I sketched this small party of immature dunlin last autumn at Aberlady Bay as they passed through with countless other waders on their southward migration. I was attracted by the effect of the low afternoon sun that, being almost directly behind me, cast little in the way of visible shadow from my position. Without strong shadows to disrupt the pattern I felt this would emphasise the repeating pattern of the wormcasts, which stretched across a vast area of exposed mud. I chose to concentrate on one small area and so make the birds larger in the picture. The warm colour of the light at that time of day accentuated the browns and ochres of the mud and of the birds plumage. As I sketched the birds I wondered where they would end up this winter and if some might actually stay in the area.